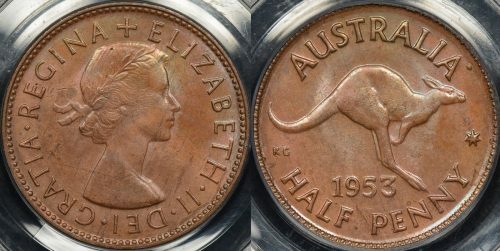 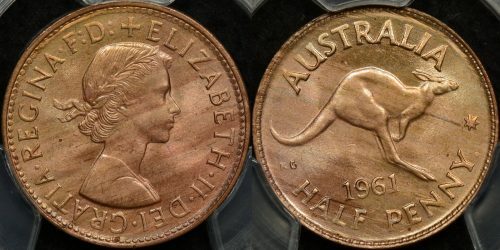 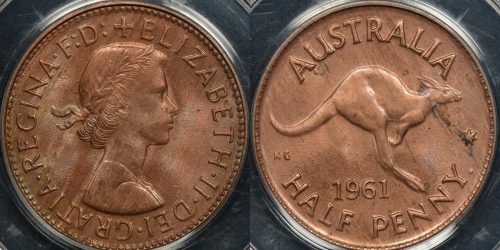 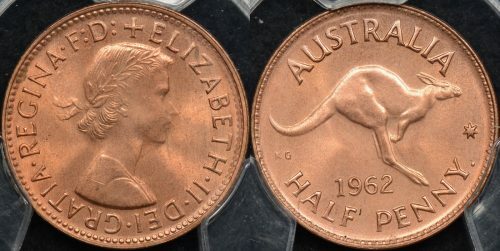 If you’re looking to buy a quality Australian halfpenny you’ve come to the correct place. 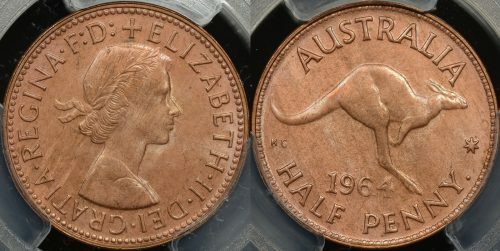 The Purple Penny stocks a full range of Australian halfpennies ranging from common (but attractive) 1960’s 1/2d’s from the Perth branch of the Royal Mint right through to the key date 1923 halfpenny. 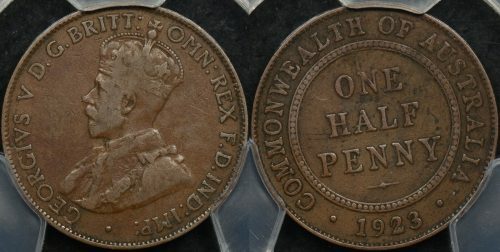 Affordable dates for George V 1/2d’s are 1911 and 1936. 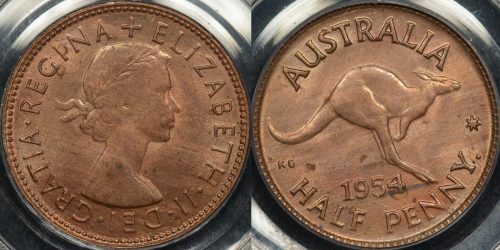 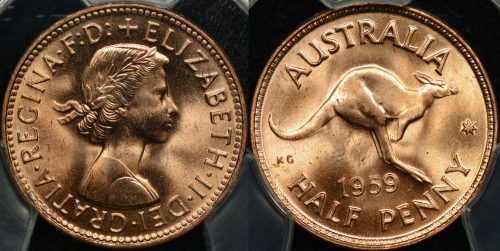 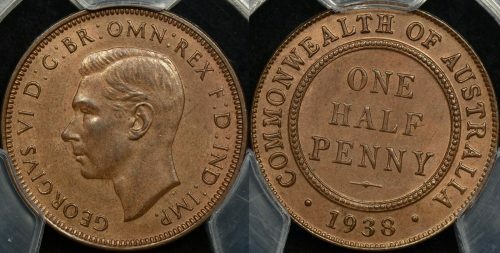 For George VI you’ll need a 1938 or 1939 with the old reverse and then an affordable example with the kangaroos reverse, 1951PL 1/2ds are usually affordable and well struck. 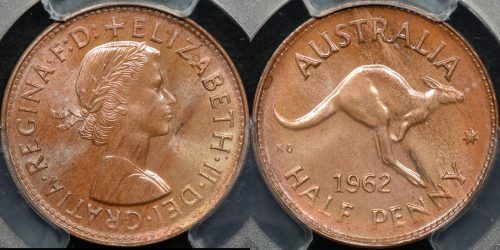 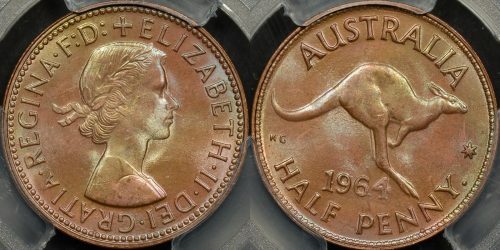 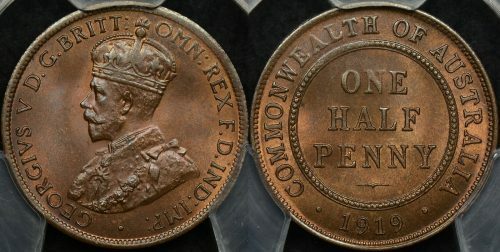 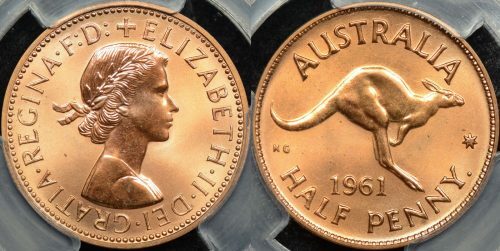 For a QE2 half penny look for a vibrant rainbow toned example from the 1960’s. 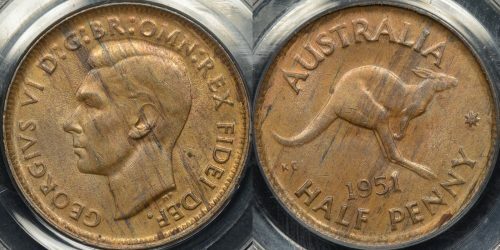 Generally we’ll get our 1923 halfpennies graded by PCGS and you’ll find that most of our Australian halfpennies will be graded by PCGS or occasionally NGC. 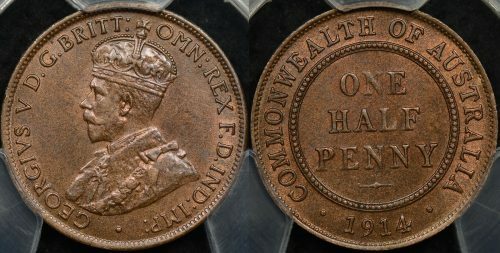 Buying a keydate coin like a 1923 halfpenny graded by PCGS gives you assurance to the authenticity of the coin and provides you with certainty of the grade when you’re purchasing online.